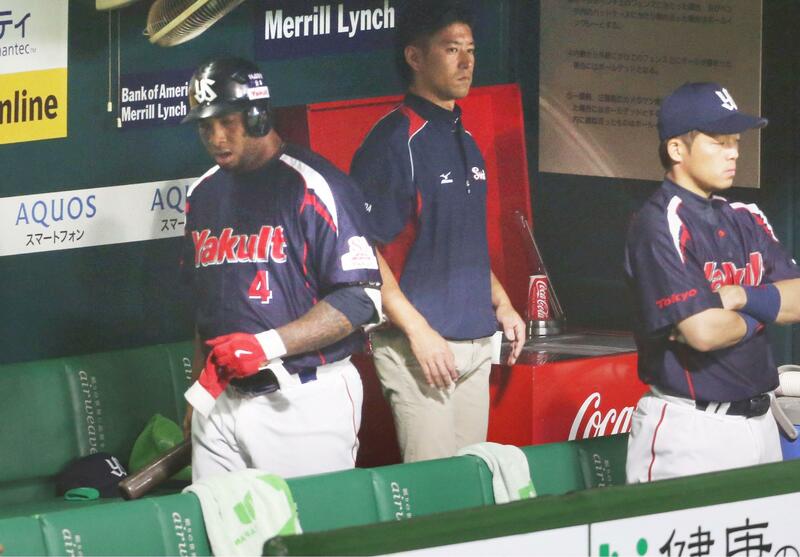 FUKUOKA - The second game of the Japan Series played out almost like a carbon copy of the first. Right down to the part where the Fukuoka Softbank Hawks were celebrating another victory. 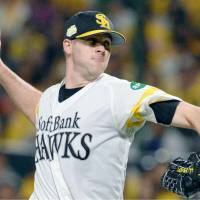 Rick van den Hurk threw eight innings of three-hit ball, Lee Dae-ho and Akira Nakamura homered and the Hawks moved one step closer to their ultimate goal with a 4-0 victory over the Tokyo Yakult Swallows on Sunday night at Yafuoku Dome. 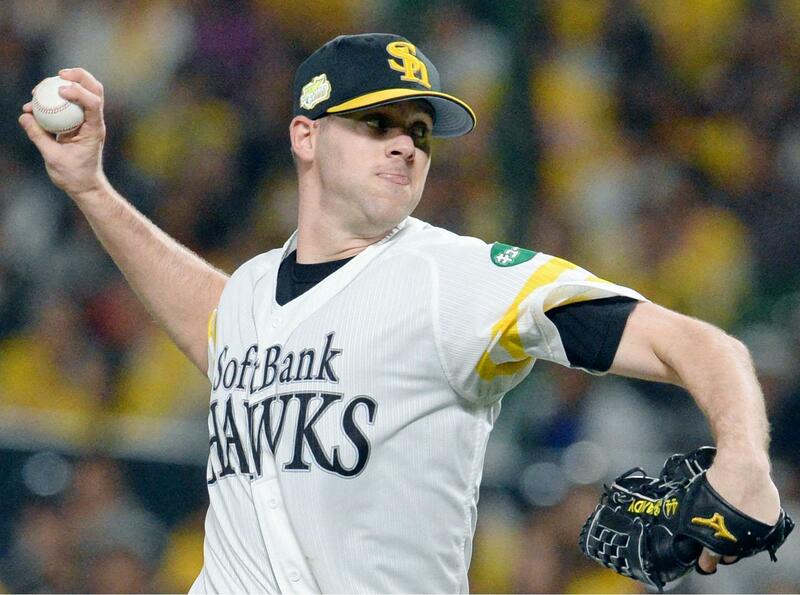 The Hawks are now halfway to a second consecutive Japan Series title. 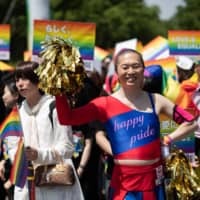 Softbank can wrap up the crown with a pair of wins at Jingu Stadium, the Swallows’ home park, which hosts the next three games. 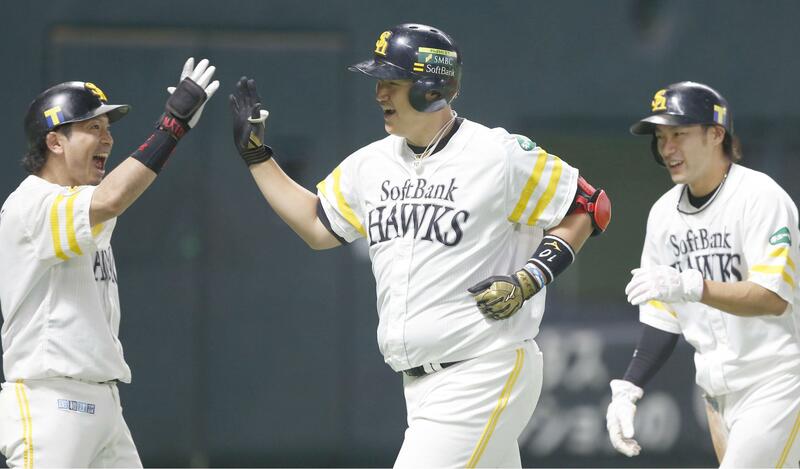 Game 3 is scheduled for Tuesday night at 6:15 p.m.
Hawks manager Kimiyasu Kudo was asked if he wanted to win the title at home and celebrate in front of the fans at Yafuoku Dome. 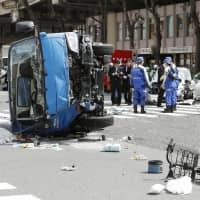 That, of course, would require a pair of losses in Tokyo. The Swallows are hoping to pick up a couple wins and book a return trip to Yafuoku Dome next week. Van den Hurk was on top of his game, striking out seven and walking none in his eight shutout frames. By the end of the night, the only question left was whether van den Hurk would come out for the ninth and try for a shutout. That wasn’t to be as Kudo summoned closer Dennis Sarfate from the dugout. Sarfate worked the ninth to finish off Yakult. Lee’s home run, a booming two-run shot in the fourth, was his third of the postseason. The Korean slugger also had a big night in Game 1 of this series, finishing 3-for-4. Nakamura’s home run, a liner to right that landed in the area created when the Hawks moved in the fences during the offseason, was his first of the playoffs. 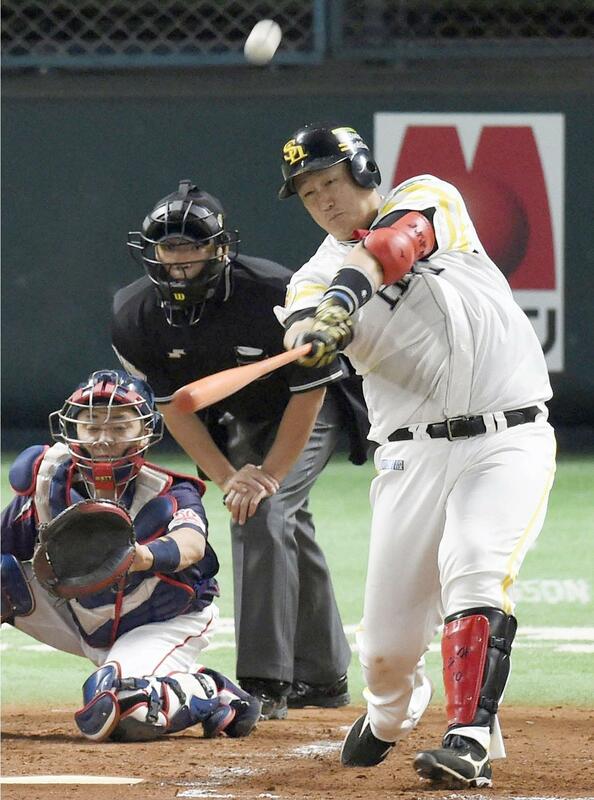 Softbank’s Shuhei Fukuda, who had a single as a pinch hitter in Game 1, made the most of a chance to start in Game 2. Fukuda, batting leadoff, went 2-for-5, drove in a run and stole a base. 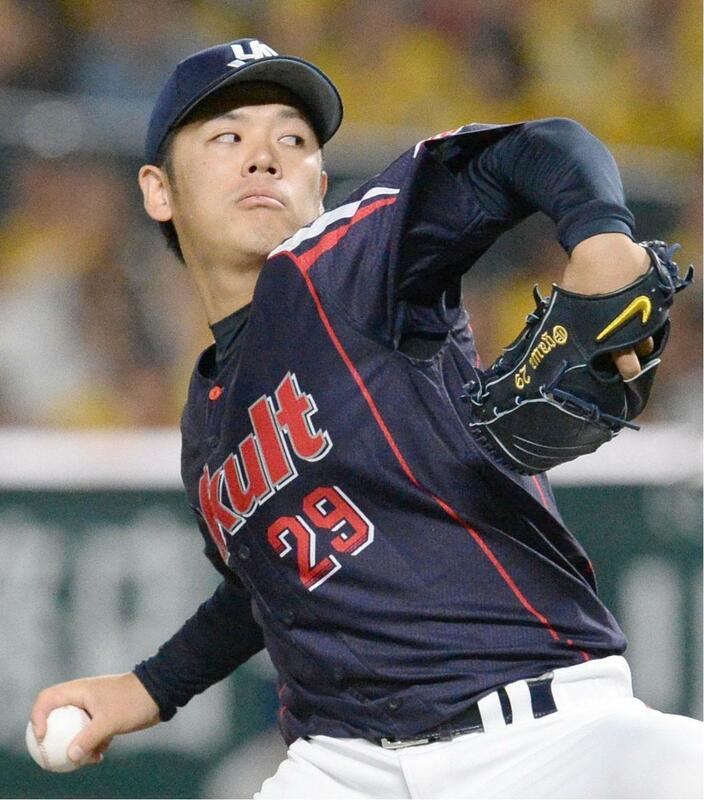 Yakult starter Yasuhiro “Ryan” Ogawa fared better against the Hawks than when he faced them earlier this season (he allowed seven runs in six innings in that one) but still left the mound with his team behind. Ogawa allowed two runs, both on Lee’s home run, on five hits in 4 2/3 innings. He struck out three and walked two. 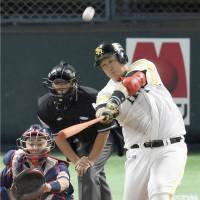 The Swallows struggled at the plate for the second consecutive game. After being held to four hits — three singles and a home run — the Birds only managed three hits in Game 2. Tsuyoshi Ueda had two, and the other was off the bat of Tetsuto Yamada. That’s something the team will try to rectify before Game 3. 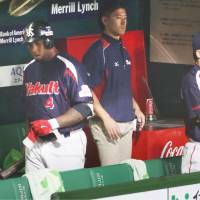 Sunday’s contest was also the second straight night the Swallows fell behind in the fourth inning and couldn’t dig out of the hole. Yuki Yanagita drew a walk to begin the Hawks’ half of the fourth. 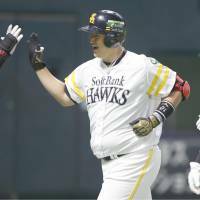 Softbank finally came through with a runner on base when Lee crushed a first-pitch curveball and sent it deep to left for a two-run home run to open the scoring. Nakamura added to the lead with his homer in the fourth, and Fukuda tacked on another run with a single to right later in the inning.